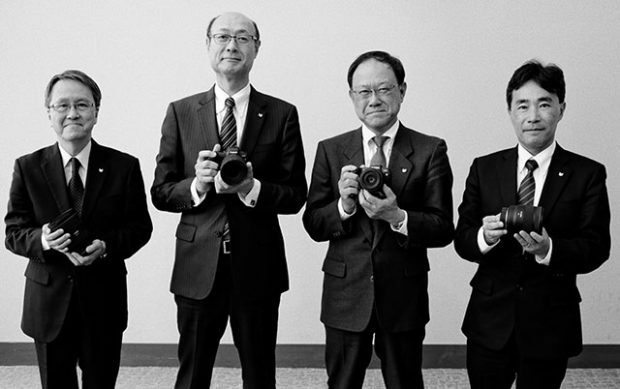 Imaging Resource has interviewed Canon executives at CP+ 2019. Canon executives talked lens strategy, the future of A.I. and more. Canon executives said there will be a lot more coming in 2019. My main takeaway from this discussion was that Canon will continue investing in photographic technology, saying that imaging is fundamental to everything that they do, and that we should therefore expect to see significant developments in the photo arena over the next period of time. I have been concerned — as have others — by what it meant that the EOS-R and EOS-RP were built around the sensor from the EOS 5D Mark IV, a camera that’s now nore than two-and-a-half years old. Without giving specifics, they did note that they had a lot in the pipeline for 2019, so it sounds like we can expect to see a lot more from Canon before the end of the year. Hopefully that will include a new-generation full-frame sensor, possibly even the full-professional mirrorless body they’ve promised will be coming at some point, although of course, they didn’t hint directly at that this time around.